EVO 400 & EVO 300 models use Swiss-made, silver-plated, oxygen-free continuous crystal (OCC) copper with a Teflon dielectric in the critical signal path for superior signal speed and increased clarity. 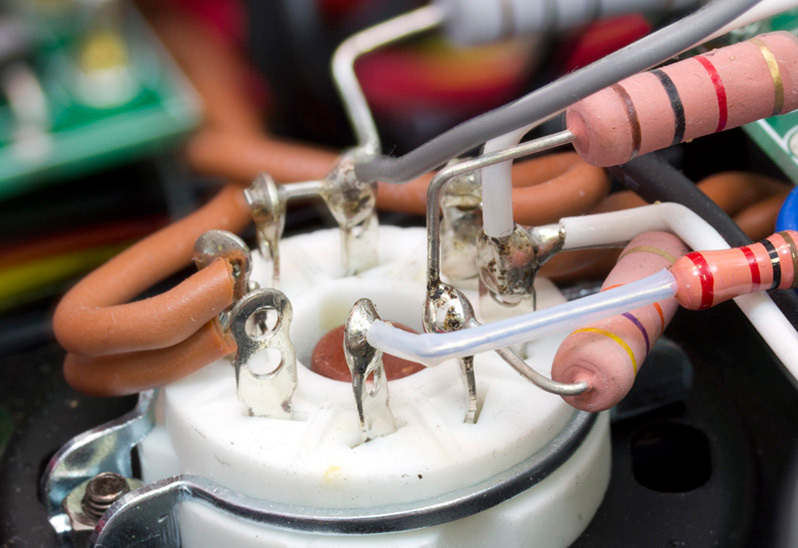 Premium tinfoil capacitors made to our specifications are used in the critical signal paths. These are very expensive but the sonic results speak for themselves. PrimaLuna has a better way. Instead of a switch, input selection is done using premium quality sealed relays mounted in the rear where you plug in your components. When an input is selected, that relay closes giving you the best connection possible. All the other relays are left open, so noise and signals from other sources can’t leak in. The signal path legnth is almost non-existent, so there are no long wires to pick up noise. 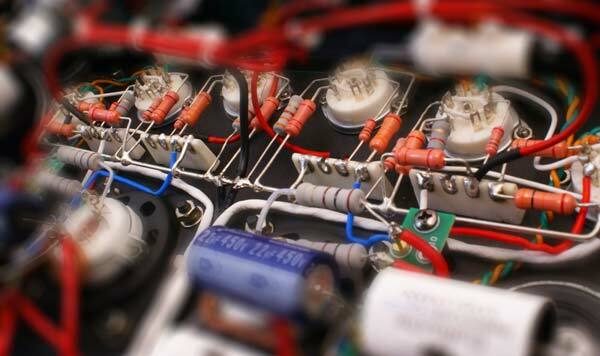 In the world of preamps, experts agree that tube rectification offers the most natural, textured, vibrant presentation. That's why you find it in the best, top of the line models. Finding a preamp using one rectifier tube is sweet. 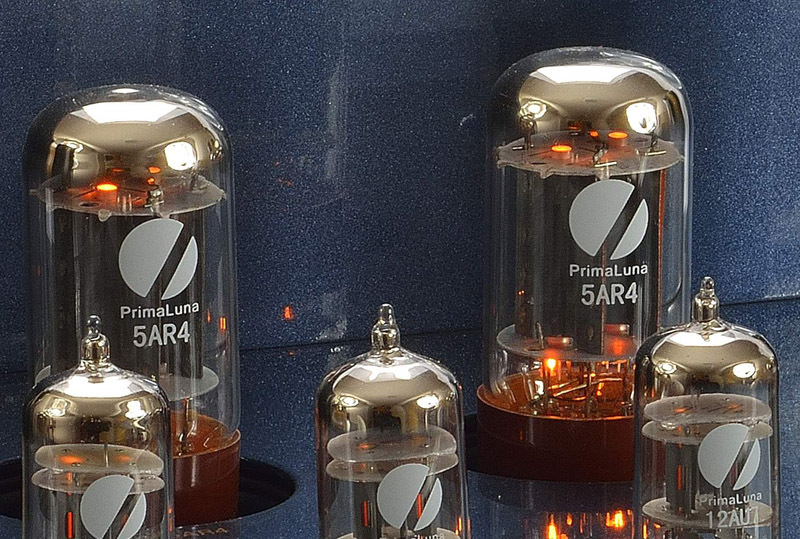 But PrimaLuna uses two 5AR4 rectifier tubes in their dual-mono design. 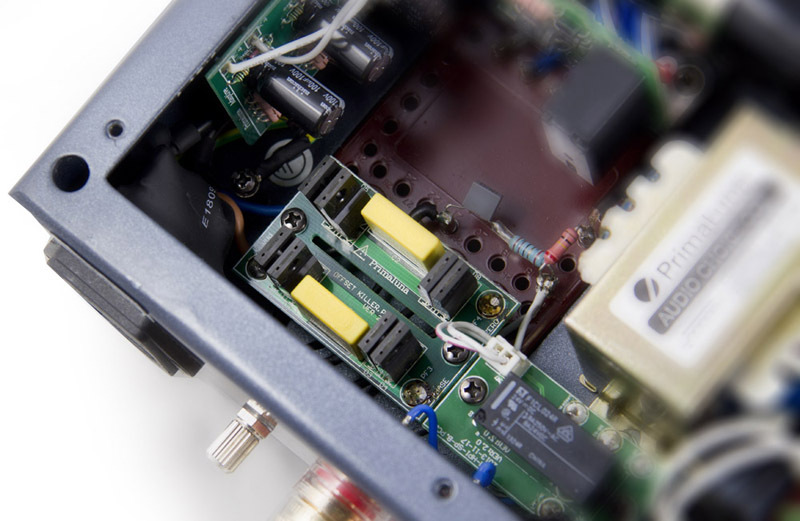 All PrimaLuna preamps are actually two preamps in one chassis. The result is obvious. Better imaging...like no other. That's where the weight comes from. And weight costs money because it means more and (in our case) better parts. EVO 400 & EVO 300 feature a full function remote control. EVO 200 & EVO 100 feature a slim remote. EVO 400 & EVO 300 use Swiss-made, silver-plated, oxygen-free continuous crystal (OCC) copper with a Teflon dielectric in the critical signal path for superior signal speed and increased clarity. 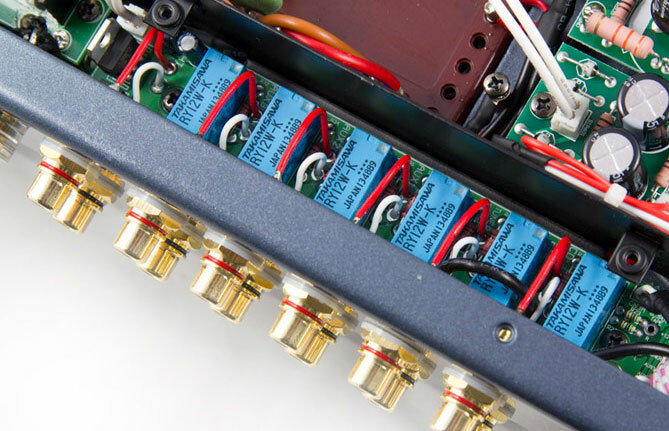 Made in Germany, Mundorf MCap EVO SilverGold capacitors are used in the critical signal paths and while they are expensive, the PrimaLuna team felt they could not be left out after careful listening comparisons with many different types. 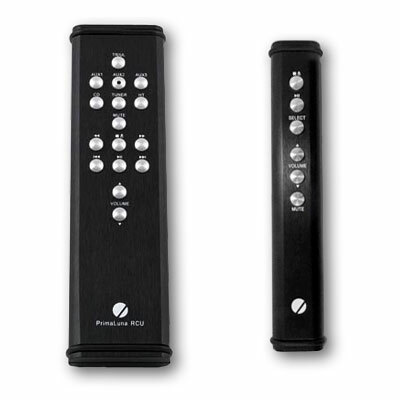 DiaLogue Premium models feature a full function remote control. ProLogue Premium features a slim remote.